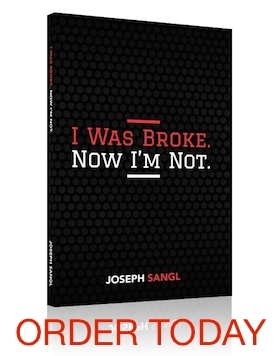 Amazon Kindle – Joe Sangl’s Books Are Now Available! Many of you have asked for this, so I am PUMPED to announce that my first two books are now available via the Amazon Kindle – the wireless ebook Reader. For those of you (like me) who still like the “analog” version of books, you can buy physical copies of any of our resources via our STORE – including our latest offering the DVD-based 6 Week I Was Broke. Now I’m Not. Group Study.